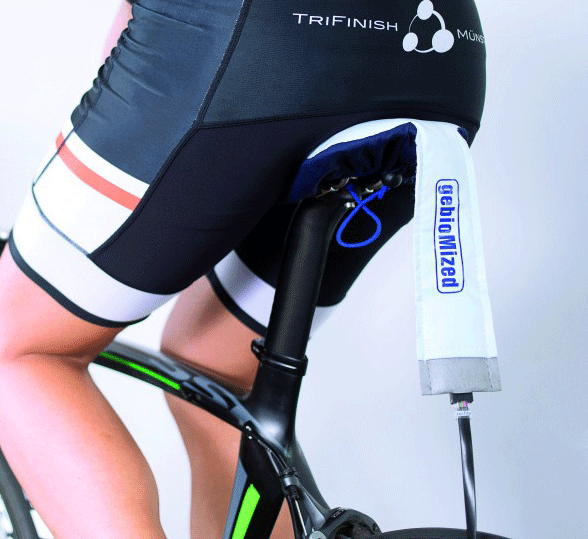 By using the measurement system ‘GP Bike’ it is possible to analyze the individual saddle pressure. This system is comprised of a thin and flexible film upon which 64 sensors have been positioned. The data are wirelessly transmitted to the PC or Laptop, which makes both indoor and outdoor measurements possible. 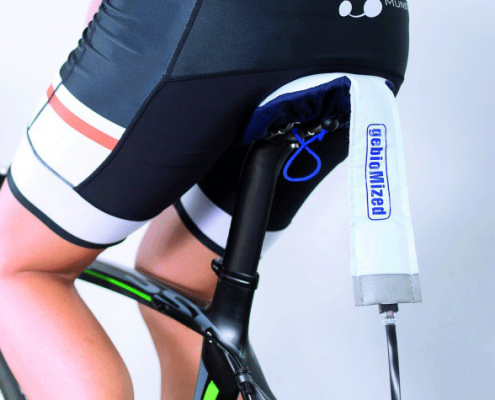 The film is applied on the saddle and the cyclist may position himself on it without changing his riding style. In this manner the pressure distribution on the saddle can be measured static as well as dynamic, i.e. while cycling. 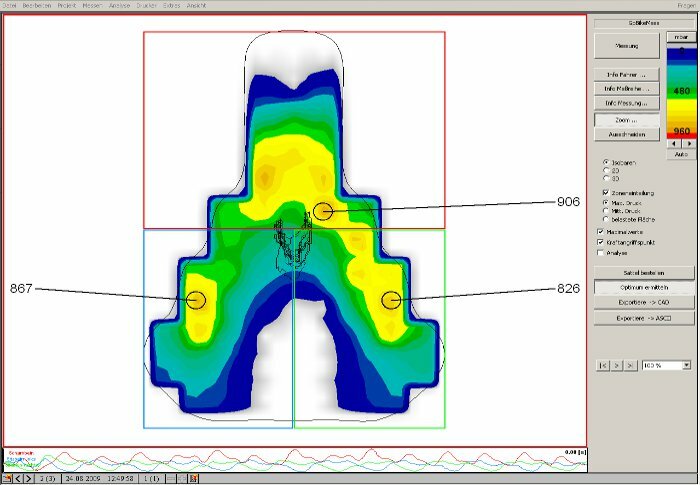 Using a colour scale the pressure distribution in the different saddle areas is displayed graphically.